Patricia A. Banks (Harvard University Ph.D. & A.M./ Spelman College B.A.) is a sociologist who studies culture, patronage, and markets with a focus on the African Diaspora. At Mount Holyoke College, she is an Associate Professor in the Department of Sociology and Anthropology and a faculty member in the Program in Africana Studies and the Program in Entrepreneurship, Organizations, and Society. 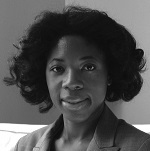 She is author of the book Represent: Art and Identity Among the Black Upper-Middle Class (Routledge 2010). Banks is currently working on the book Race, Ethnicity, and Consumption: A Sociological View (Under Contract Routledge) where she brings sociological theory to bear on race and ethnicity in the marketplace. In other research projects Banks is investigating philanthropy at African American museums, corporate support for the arts, and the market for contemporary African art. Banks has received fellowships and grants from institutions such as the W.E.B. DuBois Institute at Harvard University, the Woodrow Wilson National Fellowship Foundation, and the UNCF/ Mellon Foundation.